Looking for someone to work and train to run children's events in Northern Tasmania on weekends. 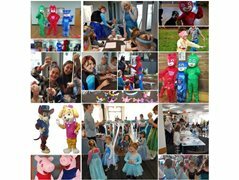 Launceston Parties mascots run children's events and attend mascot visits for birthday parties, shopping centres and shows. We do need to have someone start asap as we have a party Saturday at Bridgeport where we need a host for one hour.